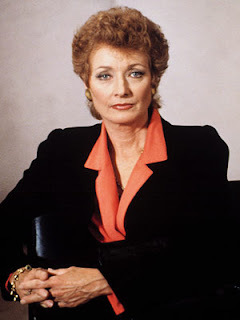 Diana Muldaur is best known for playing Rosalind Shays in L.A. Law. She's also known for her roles in A Year in the Life, McCloud, Star Trek: The Next Generation and Born Free. Apart from her more than eighty (!) TV roles, she's also starred in feature films such as The Other, One More Train to Rob, McQ and The Lawyer. Diana was born in Brooklyn, New York in 1938. She started her career as a Shakespearean actress at McCarter Theatre in Princeton. She then went to Puerto Rico to do winter stock. 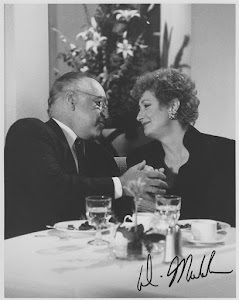 Back in New York she worked with future L.A. Law co-star Richard Dysart at the legendary Circle in the Square Theatre. She acted in several Broadway and Off Broadway productions, and also did some guest appearances in a couple of TV shows. In 1965 she starred in the TV series The Secret Storm where she met her first husband, actor James Vickery. In 1968, the couple moved to California. In Hollywood Diana starred in TV shows such as The Survivors, McCloud, Born Free, The Tony Randall Show, Black Beauty, The Word, Hizzonner and Fitz and Bones. She also starred in several TV movies: Call to Danger, Ordeal, Pine Canyon is Burning, The Deadly Triangle, The Miracle Worker and The Return of Frank Cannon to name a few. She did guest appearances in Gunsmoke, Bonanza, Star Trek, Hawaii Five-O, Mannix, Cannon and Charlie's Angels. On the big screen she was the leading lady to stars such as John Wayne (McQ), George Peppard (One More Train to Rob) and Barry Newman (The Lawyer). In 1972, she starred in one of the best horror movies of the seventies: Tom Tryon's The Other. James Vickery died in 1979. In 1981, Diana married writer/producer Robert Dozier. In the mid-eighties she became president of The Academy of Television Arts and Sciences (the academy handing out the Emmy Awards). Prior to that she had served on the national chair of the Screen Actor's Guild's committee on women and minorities in the industry. During this period, she still found time to do some acting. She did two TV movies, Terror at Alcatraz and Murder in Three Acts, and also guest starred in Quincy M.E., The Master and Murder, She Wrote. In the late eighties/early nineties, Diana starred in three of her best known TV shows: A Year In The Life (1986-1988), Star Trek: The Next Generation (1988-1989) and L.A. Law (1989-1991). 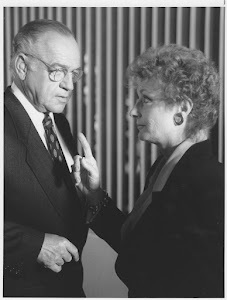 Her L.A. Law character, Rosalind Shays, is known to be one of the greatest TV characters all times. Whenever Rosalind did something big (left the law firm, fell in love with Leland, fell down the elevator) it made the TV news in USA as if she was a real person! During her two seasons in L.A. Law, Diana guest starred in two episodes of another law show: Matlock. After L.A. Law, Diana did two TV movies: Perry Mason: The Case of The Fatal Fashion and Locked Up: A Mother's Rage. She also guest starred in Hearts Are Wild and Emty Nest, and did the vioces of Dr. Leslie Thompkins in Batman and Lady Morgana in The Legend of Prince Valiant. In the mid-nineties, Diana decided to take a long break from acting and "start living". She and her husband moved to Martha's Vineyard with their Airedale Terriers. Robert Dozier died in 2012. 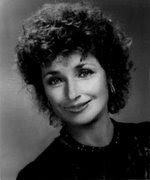 Diana Muldaur is the older sister of singer/songwriter Geoff Muldaur, the ex-sister-in-law of singer Maria Muldaur, and the aunt of singer/songwriter Jenni Muldaur and singer/songwriter Clare Muldaur Manchon (of Clare & The Reasons). Diana's cousin was the father of actress Kathy Baker.